Nintendo’s hit holiday season continues with an unlikely hero: Captain Toad, the toadstool-esque stock supporting character from Super Mario games, who takes the helm for a full-fledged puzzler based on mini games from Super Mario 3D World. Captain Toad: Treasure Tracker takes unique advantage of the Wii U’s capabilities, in addition to being just generally super fun, and while it won’t have the console-selling mojo of a Super Smash Bros. or Mario Kart, it’s definitely another good reason to consider Wii U ownership. We can all sympathize with the Toads of the world; never seeking the spotlight, they’re content to populate Mario’s worlds and stand stolidly by as sympathetic helpers along his path to adventure. Sometimes they’re booby prizes when all you need is a princess, and sometimes they’re running guesthouses along the path to greatness, offering up comforting powerups to keep plumbers on their feet. Rarely, though, are they heroes. In Captain Toad: Treasure Tracker, Toads are heroes, including Captain Toad, and, in a refreshing twist, Toadette. 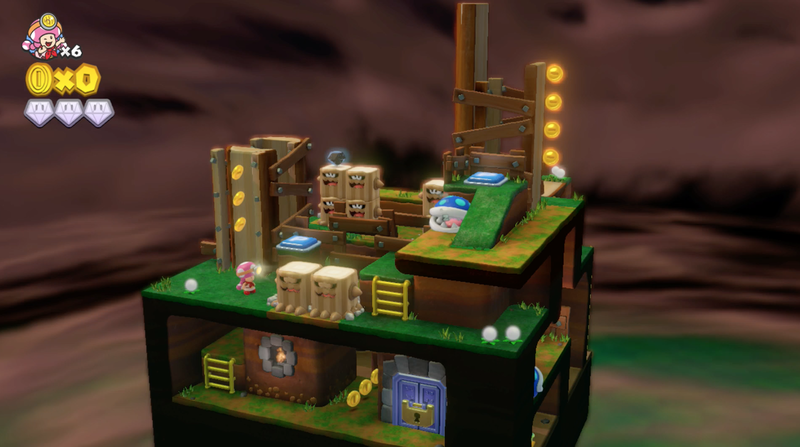 These adventurers tackle puzzles in the form of contained, rotatable 3D levels, which feature a variety of different mechanics for player interaction. If you haven’t played Super Mario 3D World, another close title in terms of how gameplay works is the excellent Monument Valley for mobile, but Toad’s lands are a little less Escher-esque, and a little more accessible for players at any skill level. Toad and Toadette are sympathetic heroes in this game, kind of like a light-hearted Rosencrantz and Guildenstern in the Tom Stoppard play. Ancillary characters brought to the fore, which is terrific as a bit of fan-service, and which also helps Nintendo flesh out its roster of first-party content without venturing into the risky territory of the unfamiliar. 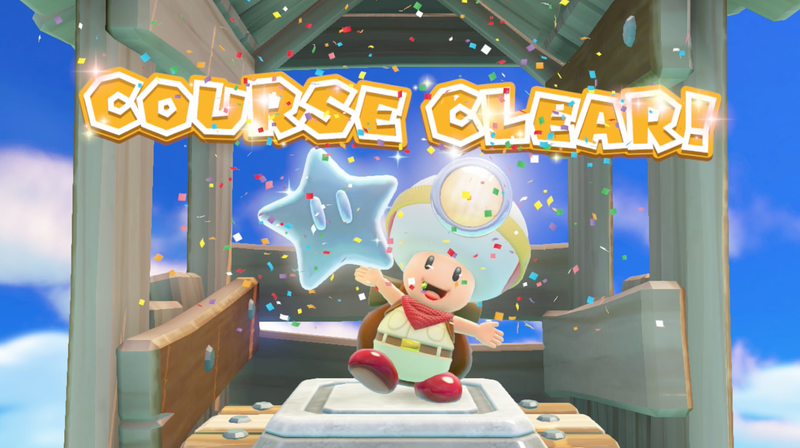 Captain Toad’s battle cry of “Ready for adventure!” prior to each outing is incredibly endearing, too, and overall this is a game that just oozes charm thanks in large part to its plucky protagonists. The Wii U ships with the Wii U Gamepad, a touchscreen tablet-like device that offers lots of potential for interesting gameplay mechanics, and yet I seldom take mine off the charger. Instead, I generally use Wii remotes or classic controllers. Captain Toad: Treasure Tracker makes use of the Wii U Gamepad, however, and in a refreshing twist, it doesn’t feel like a chore that you have to pick up the hulking tablet. The way the game works with the Gamepad includes letting you rotate the view, as well as touch-based interaction to reveal hidden secrets and temporarily stun enemies. Even Nintendo’s “blow” interaction, which is really just about using sound input in the mic to trigger virtual mechanics, doesn’t feel as bizarre, embarrassing and out of place here as it does in other titles where it’s been used before. What Captain Toad manages more than anything is to just be plain old fun. In some situations, like when you’re riding along in a mine cart, you switch to first-perosn view on the Gamepad’s screen to target enemies. This has a distinctly Pokémon Snap vibe, which means it triggered all kinds of nostalgia emotions. Even if you don’t have those attachments, it’s a great mechanic and one of the most compelling uses of the Wii U’s special abilities ever built for the console. Captain Toad favors an episodic format, and without giving too much away, I’ll just say that if you’re initially thinking there might not be enough content here to justify the price tag, just hang in there and all will be resolved. And while the individual levels aren’t especially challenging overall, they’re nonetheless clever, and should feel rewarding for gamers of all proficiencies. Nintendo has included mechanics that make it easier for novice players, including a special power-up that will render you invincible if you seem stuck at a particular juncture, but they’ve delivered them so innocuously that they don’t feel too much like cheats. The game is also great for multiplayer, despite not actually supporting any concurrent multiplayer. By this I mean that it’s a terrific title for passing the controller back and forth, since each mission is quick, and if one player dies the other can attempt to help out and take a turn as well. Controller passing is a time-honoured tradition, but few modern titles support it as well as does Captain Toad: Treasure Tracker, because of its ability to work with a wide variety of skill levels, and the brevity but surprising depth of its individual levels. 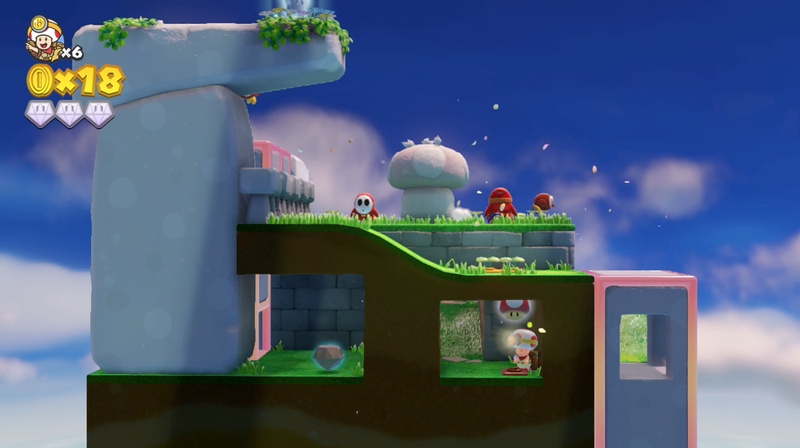 Basically what Captain Toad manages more than anything is to just be plain old fun, and it’s helped by the fact that each mission has a set of potential secret discoveries that make replay value a blast, as well as the initial play-through. The plot is paper-thin, but not at all important, and even though there’s nothing particularly groundbreaking about the graphics, it’s a visually gorgeous game, with each carefully designed level offer up lots to enjoy for the admirer of lovely things. In short, Nintendo has provided another compelling reason to become a Wii U owner this holiday season, or to remain one if you were considering selling off your console. 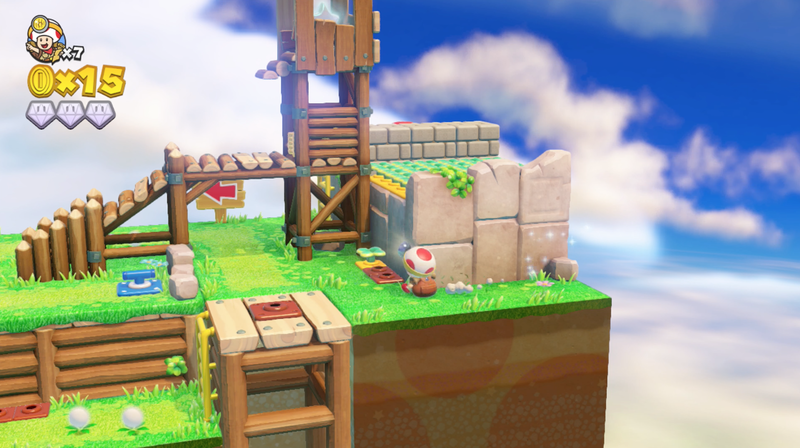 Captain Toad: Treasure Tracker is Nintendo doing what Nintendo does right, and doing it very well.